The role of the dedicated professionals who work in the Controller's Office is to provide services and financial oversight of various University-wide functions including: accounting, accounts payable (including travel reimbursements), banking and treasury operations, endowment and gift accounting, financial and tax reporting, payroll, procurement, property accounting, student financial services and sponsored programs post award administration. Welcome to the Controller's Office online. The role of the dedicated professionals who work in the Controller's Office is to provide services and financial oversight of various University-wide functions including: accounting, accounts payable (including travel reimbursements), banking and treasury operations, endowment and gift accounting, financial and tax reporting, payroll, procurement, property accounting, student financial services, and sponsored programs post award administration. 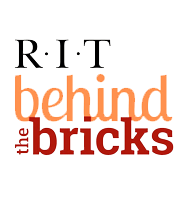 The Controller's Office is also responsible for the business relationship with the RIT Digital Den - home of the Apple Authorized Campus Store, Barnes & Noble @ RIT Bookstore, and the RIT Inn & Conference Center. Please explore the services and resources the Controller's Office offers by visiting our websites. Students, faculty, and staff will find a wealth of information designed to provide guidance and answer questions about the University's financial/human resource applications, eServices, the Kronos Time & Attendance System, as well as our processes, procedures, forms, and training programs. If you require additional information on any topic, or if you need assistance in a specific area, please contact me.